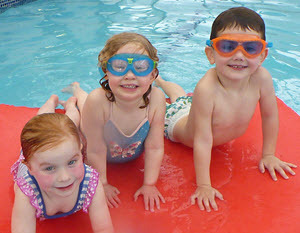 Unlike many less progressive schools, The Aquatots programme, truly is a journey that starts from the very youngest little ones at 10 weeks old starting out, in our Level 1 Ducklings class and can teach children all the way through, into the Primary school years, aged 7 or 8 in level 29. This provides the most progressive structure teaching children, steadily building upon skills already learnt and introducing brand new ones, each and every 9 week term using the same learning techniques that children and parents have become comfortable following with us. Not only that, but by offering an entire programme, we are committing to your child’s full swimming education and saving you as a parent from struggling to find the next swim school every year and going through that settling in phase time and time again. Aged 18 months plus and new to swimming? – This is where our Foundation programme comes in, providing a fast track, personalised access programme, preparing little ones to join into an Aquatots Core Swim level, aligned with their age and skill achievements. The Aquatots foundation academy, provides an access pathway, for your child to join in and catch up while having lots of fun learning new skills.